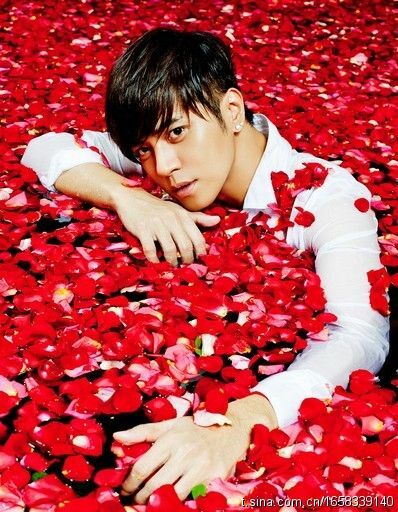 Show Luo's seventh album, Rashomon sold his personal best of 155,000 copies (154,218 to be exact) to claim top spot on the album sales chart of 2010. Jay Chou was runner-up with 110,000 copies, followed by S.H.E with 68,000 copies, Jolin Tsai with 65,000 copies and tied in fifth place Hebe Tien and Rainie Yang with 50,000 copies each. In the last three years, Show has steadily risen higher and higher on the annual chart, claiming ninth spot three years ago with his fifth album, Show Your Dance and climbing to second place last year with Trendy Man. Although he tops the album sales chart for 2010, Show still loses to Jay in terms of earnings this year, with Jay pocketing 850 million NTD from concerts, endorsements and his work on The Green Hornet. Jay’s previous album, Capricorn sold 150,000 copies two years ago, and earned him the top spot in 2008, but his sales of 110,000 copies this year is still an impressive result, considering the fact that he does not release more than one version of his album (in comparison to Show who released four versions of Rashomon). Album sales for Jolin plummeted by 50% in comparison to last year, where her ninth album, Butterfly topped the 2009 chart with 130,000 copies. S.H.E’s SHERO landed in third place, and Hebe’s debut solo album took fifth place, once again cementing the fact that S.H.E is still Taiwan’s dominant girl band after ten years. 2010’s new Golden Bell Queen, Rainie Yang shares fifth place with Hebe, proving she’s a force to be reckoned with in both the drama and music industries. In comparison to the sales achieved by the top 5 in 2009, there was a small increase in number this year, and in 2010, artists selling over 300,000 copies were able to squeeze into the top 10. The other five places in the top ten were taken by Leehom Wang, Fahrenheit, Elva Hsiao, Chang Yun Jing and LaLa Hsu. In other related news, we take a look at other stars that shone the brightest this year in the music industry. While Show claims this year’s title of “King of Album Sales”, Taiwanese dialect songstress Jody Chiang takes the title of 2010’s “King of Concerts”, performing to over 90,000 people in 8 concerts, including five in Taipei Arena. Although Jay’s concerts will number 31 performances by the end of the year, Jody wins in terms of concerts in Taiwan alone. S.H.E, even with Selina out of action for the last few months of 2010, wins the title of “King of Endorsements”, having accepted 19 endorsements, the majority of which were in China. Jay and Leehom share the title of this year’s “King of Crossing Worlds”, with both artists once again successfully expanding their artistic wings beyond the music industry.